After one application you will notice firmer healthier looking skin. Contains a unique life force; with high levels of humic and fulvic acids beneficial in skin detoxification cleansing and rejuvenating. RYL Heviz Hungarian bulk buy treats skin problems on the surface and also penetrates a few millimetres below the skins surface. Much more than a deep-cleansing treatment, this calcium and magnesium-rich skin and body mask clears congested pores and brightens skin as it draws out impurities. After just one application you will notice firmer healthier looking skin. Contains a unique life force; high levels of humic and fulvic acids beneficial in skin detoxification cleansing and rejuvenating. 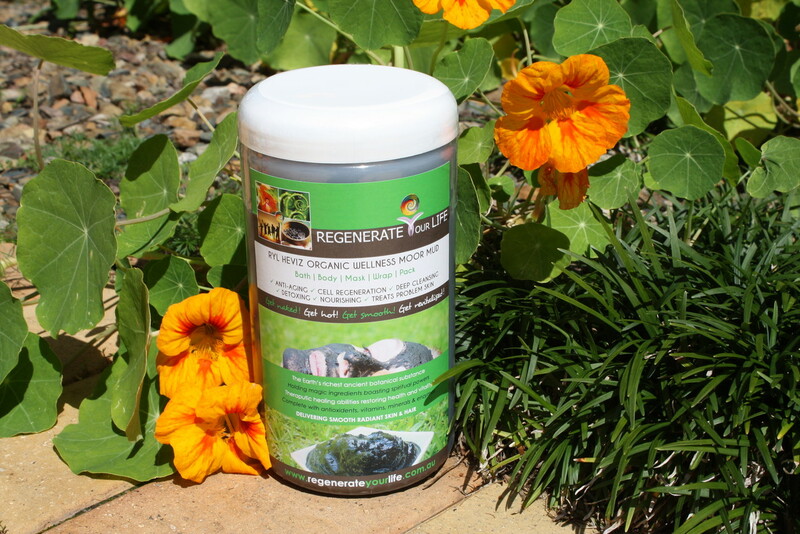 Bio-available minerals: Calcium Magnesium and Sulfides are absorbed by the skin to encourage the re-mineralization of skin tissue encouraging regeneration. With over one thousand herbs, flowers and grasses, RYL Heviz Moor Mud body and facial mask is a spectacular non-invasive treatment for non -problem or problem skin. Moor mud has been around for centuries. Egyptian and Romans were using it way back then, considered to hold magic ingredients to regenerate and prevent skin from aging. Now it is adored by celebrities for its therapeutic powers, boasting in its ability to restore vitality and suppleness back to the skin. Spread an even thick layer as shown in photo above starting from forehead down. You can apply to neck area. Remove gently with face cloth and warm water. First application leave for 2 to 3 minutes then wash off. Next application leave for 5 minutes build up to 10 minutes. Frequency: 2 to 3 times per week for problem skin working up to once a day for 21 days. For deep cleanse, nourishment and regeneration once a week. The deep cleansing action of this facial and body mud mask is felt immediately upon application. The healing properties and constituents of RYL Heviz moor mud cannot be matched. This facial and body treatment can treat skin problems, but if you have a bad diet or stressful lifestyle, in order to permanently cure and prevent skin problems from reoccurring it is imperative that diet and lifestyle change. We at Regenerate Your Life recommend a diet abundant in fruit, vegetables and lean protein, drinking up-to 8 big glasses of spring water. Don't wait Don't hesitate Regenerate!